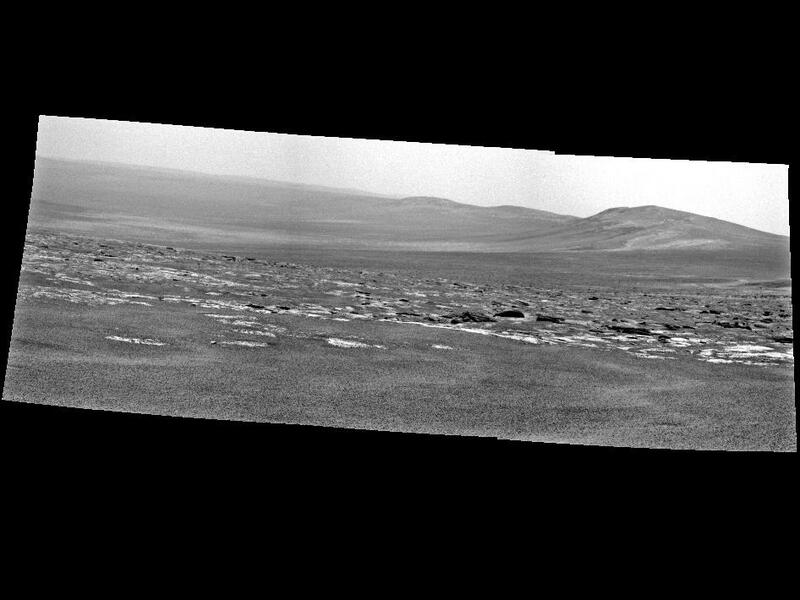 NASA’s Mars Exploration Rover Opportunity used its panoramic camera (Pancam) to capture a view which show a portion of Endeavour crater’s rim after a drive during the rover’s 2,676th Martian day. Endeavour offers the setting for plenty of productive work by Opportunity. The crater is 14 miles (22 kilometers) in diameter more than 25 times wider than Victoria crater, an earlier stop that Opportunity examined for two years. Observations by orbiting spacecraft indicate that the ridges along Endeavour’s western rim expose rock outcrops older than any Opportunity has seen so far.